The very next year, in 2013, the Trump Organization entered into a partnership with luxury furniture company Dorya International to produce pieces to be sold under the Trump Home brand and distributed initially in Turkey. Dorya claims on its website to have furnished the offices of Turkey’s president, prime minister, armed forces, and embassies around the world. During the election campaign, when then-candidate Donald Trump proposed a ban on Muslims entering the United States, Doğan Group founder and owner Aydin Doğan reportedly tried to break the contract with the Trump Organization. 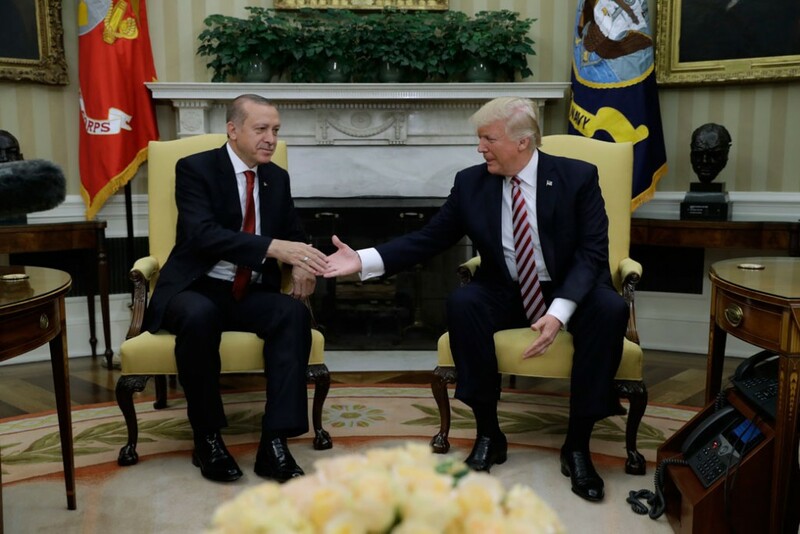 In addition, President Erdoğan called for Trump’s name to be removed from the towers. However, Erdoğan dropped this demand after Trump praised his response to the July 2016 coup attempt. 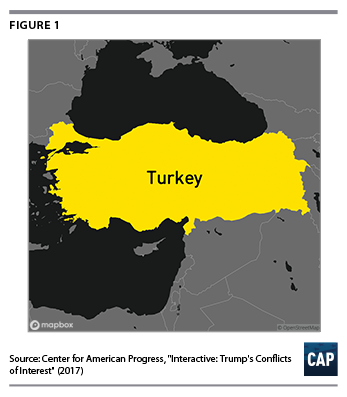 Turkey, like other Muslim-majority countries where President Trump has business partnerships, was coincidentally excluded from Trump’s executive order suspending entry to the United States for citizens from seven Muslim-majority countries—Iran, Iraq, Libya, Somalia, Sudan, Syria, and Yemen. Indeed, in a 2016 radio interview with Stephen Bannon, while he was still head of Breitbart News before joining the White House team, Trump admitted to having a conflict of interest in Turkey. “I have a little conflict of interest because I have a major, major building in Istanbul. It’s a tremendously successful job. It’s called Trump Towers—two towers, instead of one. Not the usual one. It’s two,” said Trump at the time. The retired Army lieutenant general and former chief of the Defense Intelligence Agency formally told the Justice Department in March that his now-defunct Flynn Intel Group was paid $530,000 for operating as a foreign agent for Alptekin’s firm, Inovo BV, and performing work that could have benefited the Turkish government. That filing—prompted by Justice Department pressure—came just weeks after Trump fired Flynn from his national security post. The president has said he made the decision after it became clear Flynn had misled Vice President Mike Pence about conversations with Russia’s ambassador to the U.S.
More troubling, Alptekin not only paid Flynn and his firm close to $600,000 at a time when the retired general was receiving highly classified U.S. government briefings as part of Trump’s campaign team, but Alptekin also has substantial business ties to Russia. This fact further suggests that Flynn, who was ousted from his national security post for failing to disclose his close contacts with the Russian ambassador, may be tainted by money from Moscow as well as Istanbul. Again, and far from coincidentally, on Election Day, Flynn wrote an article for The Hill in which he argued that Fethullah Gülen should be extradited from the United States—a key demand by the Turkish government. Perhaps most disturbingly, Flynn may have delayed a key strategic military operation in Syria against the Islamic State out of fear that it would upset the same Turkish government that was helping to funnel money to him. The United States has been working with the Kurdish militia in Syria, the People’s Protection Units (YPG), to mount an assault on the Islamic State stronghold of Raqqa, despite strong objections from Turkey and President Erdoğan who fear Kurdish separatism in Turkey. In the final days of the Obama administration, Obama officials offered to make the announcement of the joint U.S.-YPG offensive on Raqqa to give the Trump administration a clean slate with the Turks and let them blame everything on the outgoing administration. The Associated Press noted in May 2017, “[F]ormer Deputy Attorney General Sally Yates told senators that Flynn’s misstatements about his contacts with Russia’s ambassador to the U.S. raised concerns that he could be targeted for blackmail. Yates also cited the possibility that Flynn could have broken federal law by operating as a paid foreign agent for the Turkish client without U.S. government permission.” It remains inexplicable why President Trump and Vice President Pence would appoint Flynn to such a vital national security post when they knew he was under investigation and had been acting as a paid agent of foreign governments. According to both disclosure forms, Trump was paid as much as $10 million in royalties from his Istanbul project for the previous two years, and he—and his children—will presumably continue to receive money from this arrangement. With Turkey’s democracy under fundamental siege and neighboring Syria still at war, the Trump administration’s judgement on Turkish relations appears to have been deeply clouded by shadowy payments from Istanbul to Flynn and Donald Trump’s own overriding concern for protecting his foreign business interests. 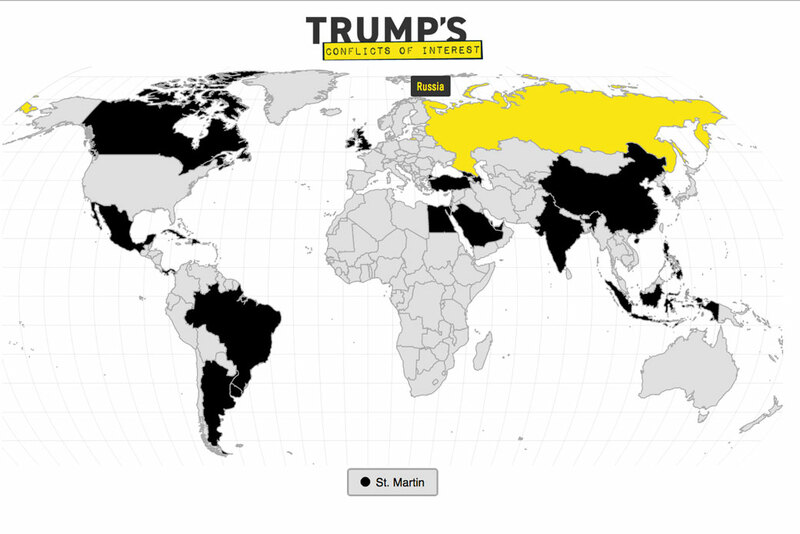 These are exactly the kinds of conflicts that hurt America and profit Trump.